Luring applicants to the San Jose Police Department is becoming an increasing challenge, especially with roughly 50 police agencies around the South Bay that are also hiring. The current San Jose police academy started on Friday and only has seven recruits. 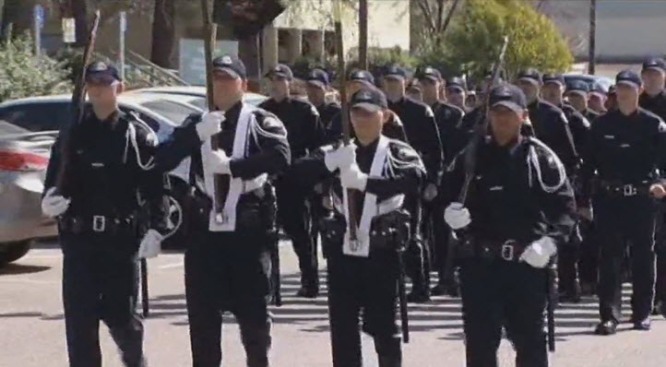 Officials have been working on trying to bolster San Jose's understaffed police force and are now ramping up efforts to attract more recruits. "Our priority right now is recruiting," said Lt. Heather Randol, SJPD's recruitment commander. "It's important for us to expand our efforts and really start building up those academy classes." The San Jose Police Department is rethinking almost everything when it comes to recruiting, even taking part of the hiring exams on the road as well. The mobile hiring exams allow a candidate to take part in the required written, agility and oral exams at home, rather than having to fly to San Jose. "It hasn't been easy," Randol said. "As people can see from our small academy sizes, recruiting in San Jose and across the country has been very difficult." San Jose police have also placed advertisements to join its department in various media publications, including NBC Bay Area. Recruiters said the numbers will not change overnight, but add with hard work, people will start realizing the place to be is in San Jose.